Today was rough. Not because I didn’t have enough words to write, no, not that. 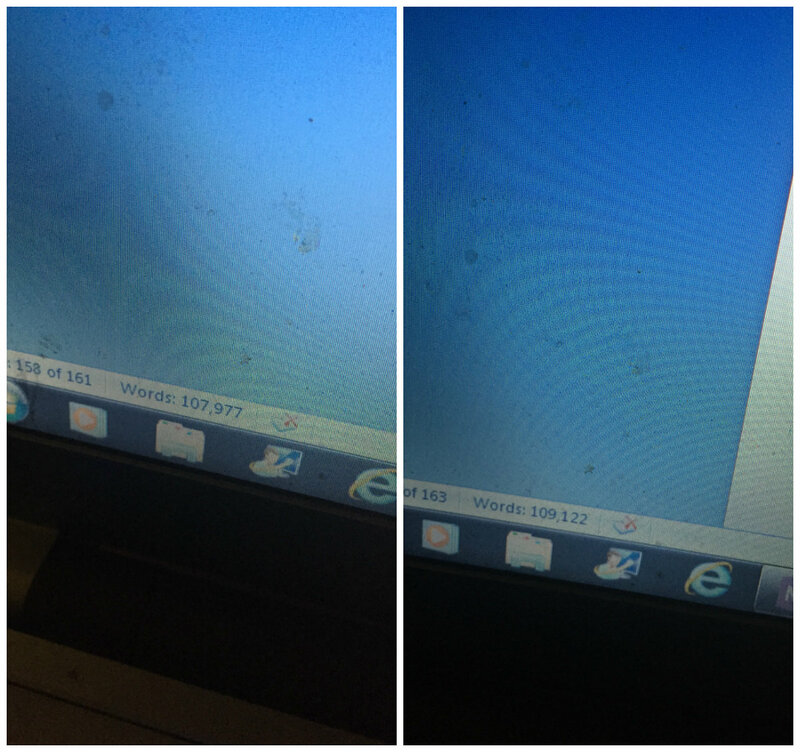 I’m still living off my notes; however, getting them into Word was a challenge because I’ve been so goddamn exhausted. We just fell back from daylight savings time in the states and it’s screwing me up so badly. I don’t understand because we gained an hour so I should be more rested. Nope, utterly fatigued. I’m also entertaining the possibility that I may be anemic, so I need to get this checked out. I usually go to jazzercise (which is dance aerobics and super fun) Monday, Tuesday, Thursday, and Saturday. Well today is Tuesday and I came home and took a nap. There was no way I could’ve gotten through an hour of vigorous activity without potentially fainting and making a total fool out of myself. Also, no writing would’ve gotten done. Alright, enough complaining. Here’s the proof of my thousand (plus).